But when you notice that a common problem has been thought about and fixed - even if it's just a tiny issue - that's when you can tell how much thought and effort must have gone into designing it. Here's an example that I just came across and wanted to share. 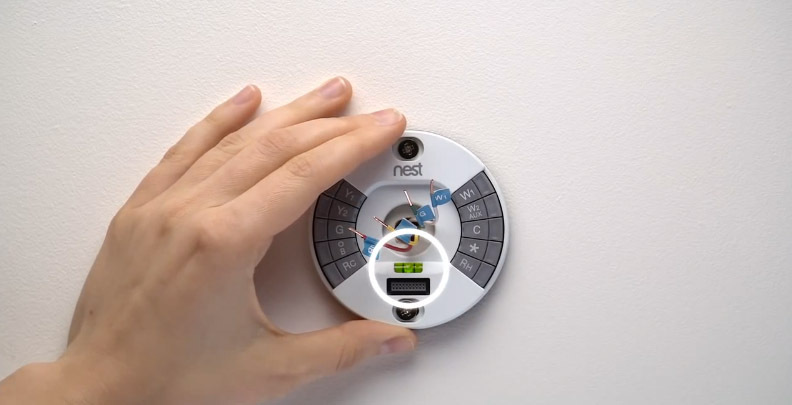 When you install Nest, there's a tiny spirit level built-in to help you keep it straight. It's a tiny little detail - one that'll most likely only be seen once by the customer - but it makes getting up and running with their product easier.